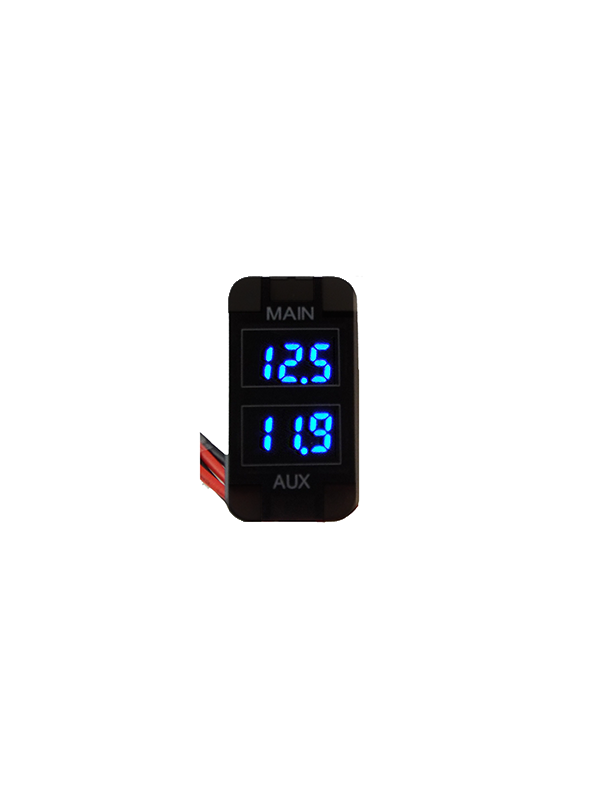 Delivery Time: 3-5 days SKU: BLUEP1203DVM. 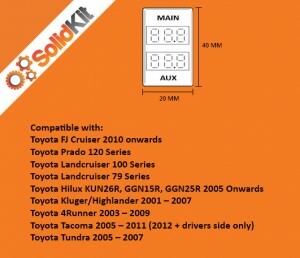 Categories: Auto Electrical, Switch Socket Products, Volt and Amp Meters. 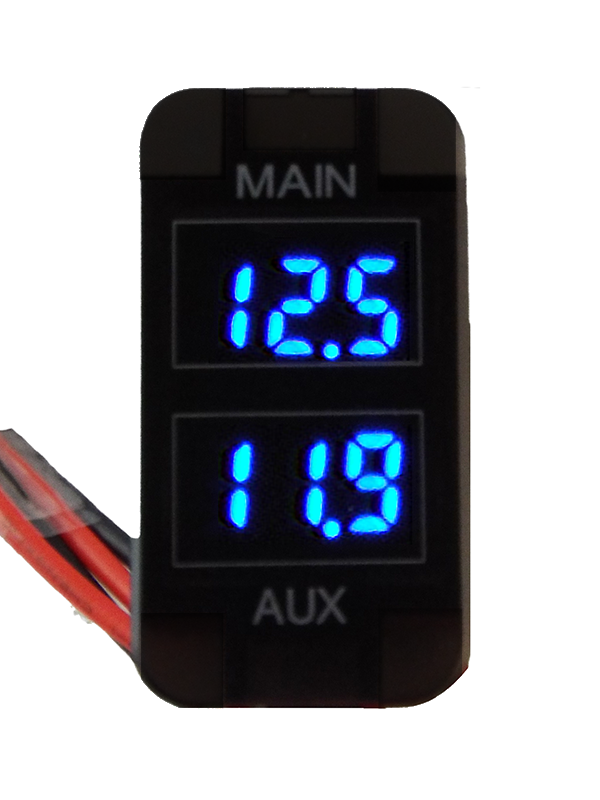 Dual Battery Volt Meter for Toyota Prado 120, FJ Cruiser, Landcruiser 100, 79 Series, Hilux and More! 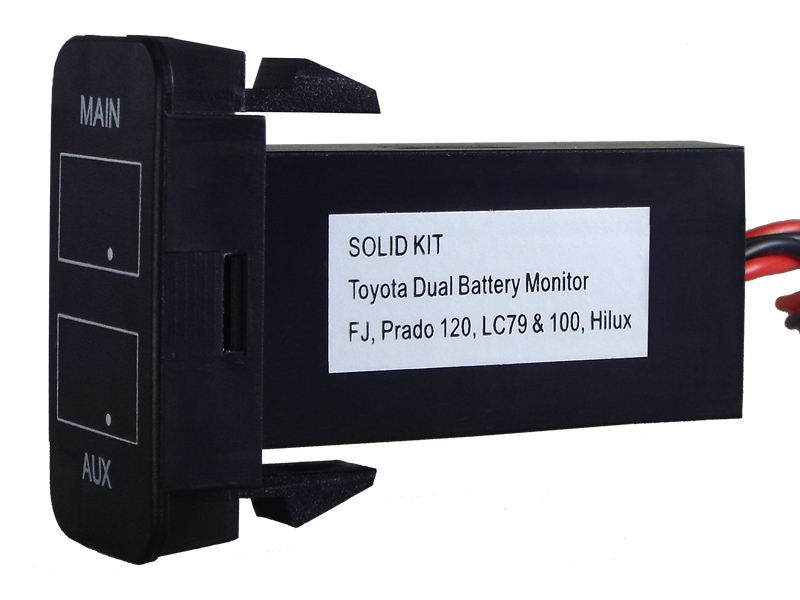 Keeping any eye on your battery voltage is the easiest way to manage your battery cycles. 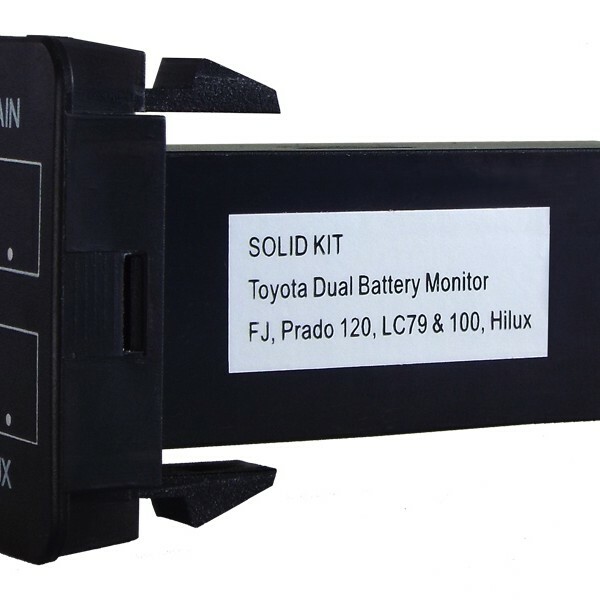 The Solid Kit Dual Battery Volt Meter provides an innovative solution to battery monitoring, by placing the battery voltage displays where they are most useful. Right in front of you in the cabin. 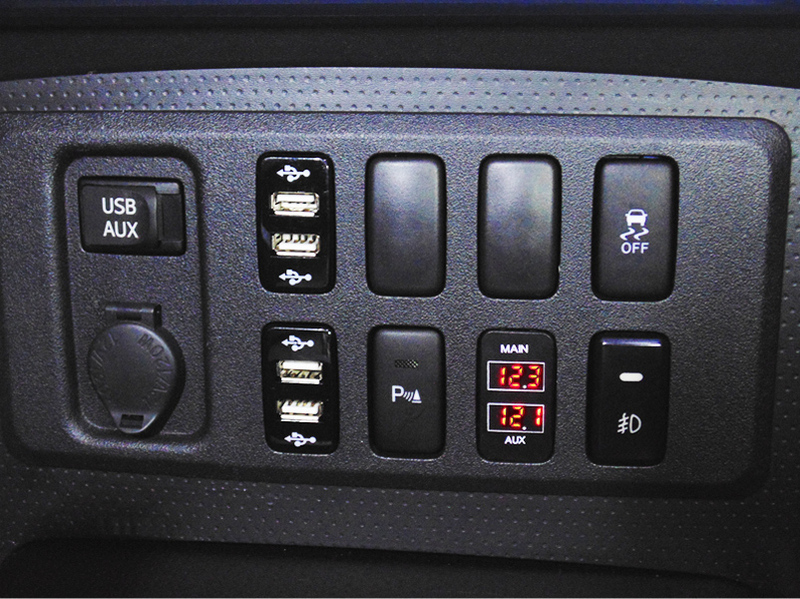 Our design is the perfect match for Toyota vehicles with Dual Battery Systems and seamlessly integrates with the vehicle interior. Installation is a breeze, without any cutting or drilling required. Simply connect each power cable to the appropriate power source, and both negative cables to earth. 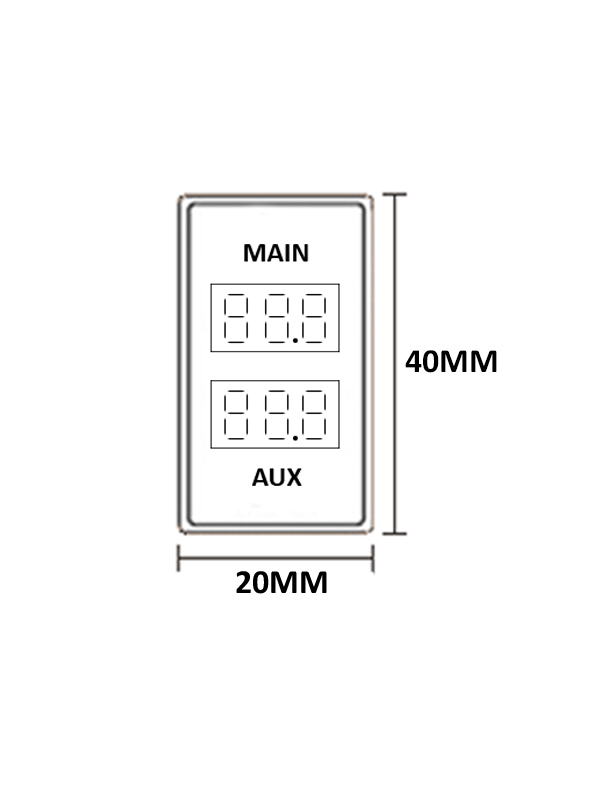 Switching of the unit may be achieved by combining both earth cables and switching the earth cable on/off. 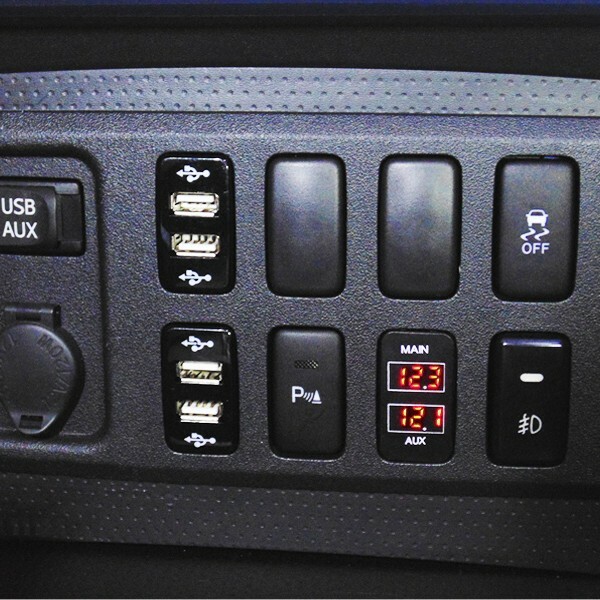 Similarly, a relay can be used to control the Volt Meter via the ignition key.